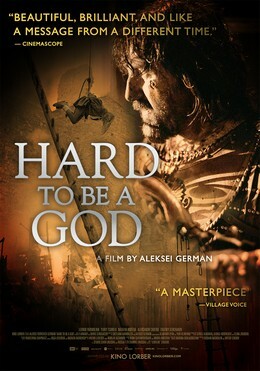 Hard to be a God is a mad, epic masterpiece unlike any other film I have ever seen. Ostensibly a science fiction film it is a mud-spattered vision of the Middle Ages, channelling the rain-drenched monochrome of Winstanley, with the sensibility of Tarkovsky, as imagined by Terry Gilliam without any studio interference. Based on a 1964 novel of the same name by Arkady and Boris Strugatsky, the story is set on an earthlike alien planet where the technology is on a par with ours about 800 years ago. A group of earth scientists have been sent to monitor the planet and help it progress, but without interfering in their politics. One of these, Anton, has taken on the guise of a nobleman, Don Rumata, who lives in a castle in the Kingdom of Arkanar. There, he has taken a young local woman, Ari, for a bride. The village around the castle is populated by a poverty-stricken parade of grotesques, clad in rags and stumbling around from one dirty puddle to another. The plot concerns a quest of sorts: Don Rumata sets out from his Castle to track down Budakh, a doctor who has been kidnapped by the tyrannical Prime Minister, Don Reba, and his militia, known as the “greys”. However, the story really takes second place to the film’s extraordinary visual inventiveness. The costumes and sets are convincingly real and the wonderful cinematography seems to violate the rules to great effect. Many scenes contain tracking shots that last several minutes. Primary and secondary characters often break the “fourth wall”, gazing into the camera as they amble about, rather as working-class people used to do when early film-makers set up their cameras in the street (check out some of the old footage of Petticoat Lane on YouTube). People wander into shot from the side, only to shuffle off again. In almost every scene there is some sort of business going on (at one point, for no apparent reason, someone off-camera is waggling what looks like a chicken’s legs in front of the lens). It is probably only fair that I should mention that not everyone in the cinema appeared to share my enthusiasm. There were a few walk-outs mid-way through the screening. In terms of length and pacing this is more akin to Stalker than to Shaun of the Dead, and the plot does get a bit hard to follow at times. 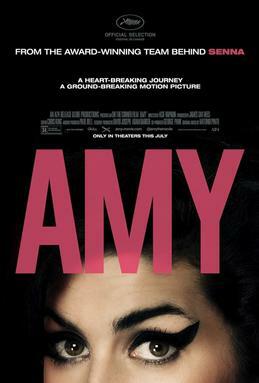 It is a film that might not satisfy the less patient kind of viewer. However, once I realised that this was not going to be a fast-moving story I simply relaxed, sat back, and allowed myself to become immersed in this marvellous and unique cinematic experience.